Wow your award recipients with an amazing 3D laser engraved crystal award! 3D Laser Awards is the leading supplier of 3D crystal awards to the corporate recognition market. A full service awards company, 3D Laser Awards completes all graphics and personalization in house, maintaining the highest level of quality control over each and every project. 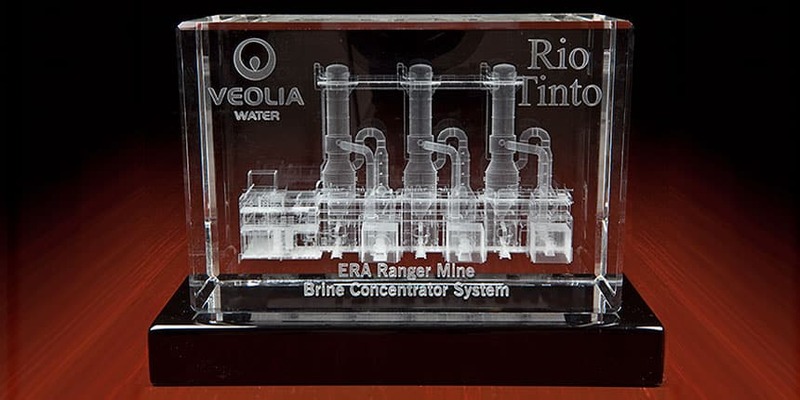 Because 3D crystal awards have proven to be extremely effective and valuable as corporate recognition awards, they are a popular choice for saying “thank you” and “well done” to top performers. In addition, they offer both timeless elegance and a wide range of options for personalization. We are dedicated to creating beautiful etched crystal awards for your events and ensuring that they are delivered safely, on time, and exactly as you requested. Our products are made of only the finest precision-cut and polished crystal-clear lead-free optical crystal. Optical crystal is completely free of impurities and is totally free of any color. Because of this, it is the “Gold Standard” for premium engraved and sand carved glass awards. Each new project is an opportunity to produce something memorable and original that will be appreciated for years to come. To help make your job easier, we have assembled a unique and evolving collection of beautiful optical crystal pieces that range from functional to spectacular.